Liberty House, part of Sanjeev Gupta's global industrial group GFG Alliance, has been chosen as highest preferred bidder for Amtek Auto's assets, which include 35 automotive component plants across India, Japan, Thailand and Spain, employing 6,000 people. The announcement of Liberty House as the successful preferred bidder was made in the committee of creditors meeting held on March 6, 2018, and confirmed by the Resolution Professional on March 7, 2018. This follows the corporate insolvency resolution process (CIRP) of Amtek Auto that began on 24 July, 2017. Amtek Auto is one of the 12 large insolvency cases that the key lenders took to insolvency resolution process under National Company Law Tribunal (NCLT) in India. "This is a proud moment for GFG and for my family. We are excited to restore a great Indian business to its rightful position and add a major new asset portfolio to our international network. This business will be the cornerstone of our strategy to bring GREENSTEEL to India and expand our footprint in the automotive sector worldwide. We look forward to closely working with the high-calibre customer base Amtek Auto enjoys. We are pleased to be able to secure the jobs of 6,000 workers and welcome them to the global GFG family," GFG Executive Chairman Sanjeev Gupta said. Steel and aluminium parts made by Amtek include connecting rods, crankshafts, flywheels, engine blocks, cylinder heads and various engine housing and drive train components. Following a successful acquisition of Amtek's operations, GFG intends to apply its GREENSTEEL vision in India and develop a full end-to-end enterprise ranging from renewable energy generation and metal-making right through to finished engineering products. As part of this integrated strategy, the group is continuing to pursue other assets in India, some of which are currently in the NCLT process. Dr Douglas Dawson, chief executive of Liberty Industries Group, who led the bid, said, "India is one of the most promising markets in auto and we are well poised to bring our expertise and impeccable track record in this sector from the UK to India, focusing on rapid innovation and growth." 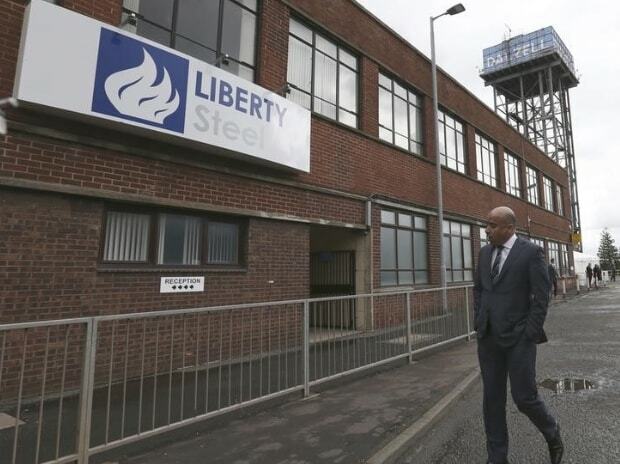 Liberty House in the past has acquired two assets of Tata Steel in Europe and has managed to successfully turn them around. The company has been keen to acquire assets in India and has participated actively for other NCLT-listed assets as well.